Go through or go around. Good leaders may take the easier path and go around while great leaders take the more difficult path and go through. Over the last few months I have thought about the important gates leaders must open and walk through in order to be successful. As a result, here are the five gates every leader must open. Leadership is often described using words like vision, future, goals and strategy. Each of these words would also describe the important gate every leader must open, The NaviGATE. A good leader can take people where they should go and should be however, a great leader will take people where they don’t want to go but should be. The difference between the good and great leader is their ability to navigate effectively. “If I want it done right I have to do it myself” are the death words of a bad leader. Micro management and control are not good friends of a great leader. 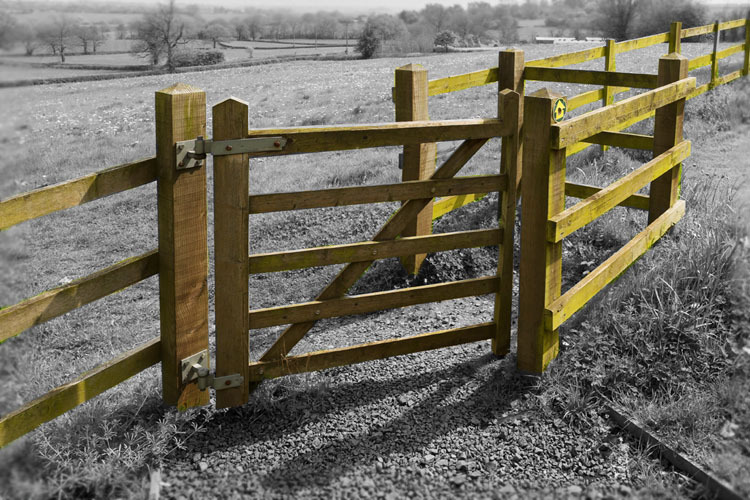 Great leaders must open this gate and walk through leaving micro-management and control behind. Did you know, the word “Delegate” is actually taken from the word “Legate” which is a word from the mid twelfth century which meant “an authorized representative of the Pope.” Literally an ambassador. Control and micro management will stop growth and restrict future leaders. We must open this gate and hold it open while we let others pass through in front of us. Open The DeleGATE and give others responsibility, control and authority and maybe, just maybe, at the next gate, they will open it for you. We most often think of “The InstiGATE” with a negative tone or context. However, what would it look like if leaders opened this gate with the right motives? Passion, energy, excitement and enthusiasm, that’s what would happen. It’s ok to “stir the pot” as a leader. Look at Hebrews 10:24 ESV, “And let us consider how to stir up one another to love and good works.” Here are some words other Bible versions use. Yes, it’s ok to open The InstiGATE. Without it there is simply no passion, no motivation no excitement or enthusiasm to move forward. Remember when God told Elijah, “Drink from the brook and eat what the ravens bring you, for I have commanded them to bring you food.” 1 Kings 17:4 NLTse. God is our supply but we must use what we have been given to irrigate others with love, grace, mercy and compassion. This gate is often opened at football games and picnics. What this gate represents is something simple, something fun and something powerful. When a leader opens “The TailGATE” be prepared for something transformational. Community, together, fun, team, play, share, eat, laugh, open, aware, emotion and connect are all words that come with opening this gate. It can be argued that this is one if not the most important gate for a leader to open. When you can get your team through “The TailGATE” you will experience life and ministry to the fullest, in community and together and that’s when like-mindedness and synergy can begin to work. Solomon says, “I recommend the enjoyment of life. People have nothing better to do under the sun than to eat, drink, and enjoy themselves. This joy will stay with them while they work hard during their brief lives which God has given them under the sun.” Ecclesiastes 8:15 GW. Now, open the Tailgate and see what can happen with your team. How do we open these five gates? With Intentionality! Over the next five weeks take one gate each week and open it, walk through it and experience the other side. Don’t forget to hold the gate open for those following along, that’s what will set you apart as a leader among leaders. Question: What gate is most difficult for you to open? Why?